Lionism in what is now known as Multiple District Four had its beginning in Oakland with the organization on February 27, 1917, of the first Lions Club on the west coast. It was not until nearly four months later on June 7 that the Association of Lions Clubs was organized at the Hotel LaSalle in Chicago by Melvin Jones. The first president of that first Lions Club in California was Jesse Robinson, destined in 1919 to become the president of Lions Clubs International. California and the states adjoining it formed what was then known as the First District. That district was of tremendous size, extending from the Mexican border to the Canadian line and from the Pacific Ocean to the Utah state line. It embraced California, Oregon, Washington, and Nevada. 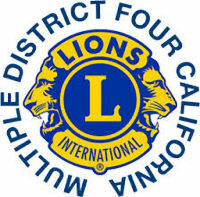 This organization shall be known as Multiple District Four, California, Lions Clubs International, hereinafter referred to as Multiple District Four (MD4). 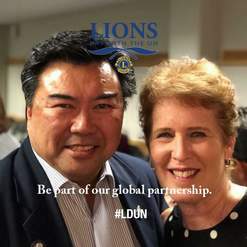 The purpose of this organization is to bring greater strength to the Lions Clubs of MD4 through a unity of effort and to spread the principles of Lionism throughout said MD4. The territory embraced by MD4 shall be the area of the State of California, except such clubs in communities bordering other states and electing to be a member of another District. MD4 shall be divided into a number of alphabetically designated Districts, each known and referred to as District 4, followed by a designating letter and numeral, District 4-C1, District 4-C2, District 4-C3, District 4-C4, District 4-C5, District 4-C6, District 4-A1, District 4-A2, District 4-A3, District 4-L1, District 4-L2, District 4-L3, District 4-L4, District 4-L5, and District 4-L6. The District Governors and the Council Chairperson of MD4 shall constitute the governing body thereof and shall be known as the Council of Governors. A majority of said Council of Governors shall constitute a quorum for the transaction of business. There shall be an Executive Administrator for Multiple District Four. The office of said Executive Administrator shall be located in Santa Barbara. On February 10, 2019 in Sacramento, California, at the annual convention of California Lions Clubs, the Multiple District Four Delegation has elected Past District Governor Ken Ibarra to be International Director. Congratulations Ken and Amy and Good Luck campaigning in Milan Italy at the International Convention.